It’s all about the detail when you come to the Bespoked Bike festival in Bristol at Brunel’s Old Station. Whether you want a wooden bicycle, a bicycle made of bamboo or the latest in titanium technology – the wheel really will be reinvented at this incredible event. The UK is an incredibly passionate place for cycling, and Bespoked Bristol aims to take cycling from the realms of the practical and extend it into an art form. This is the premier event in the country for cycle lovers to get custom made cycles and cycle parts that fulfil their every need. Just imagine getting a bicycle built exactly the way you like it! 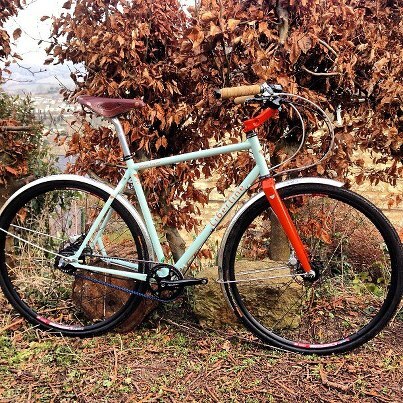 This UK handmade bicycle show will be bigger and better than before in 2013 and it takes place in our central venue next to Temple Meads between April 12 and April 14. A number of awards are also given out at this prestigious event including best in show, best track cycle and best road cycle. Some highlights of the event include live roller racing competition on the opening night, a vintage-themed ride on the Saturday, and a chance to win a bike tailor-made just for you by a team of exceptional frame-builders. We hope to see you here! This entry was posted in Bespoke Bike Show and tagged bespoke, bespoked, bicycle, bicycles, bike, bikes, bristol, cycling, temple Meads. Bookmark the permalink. This is where I am heading on Saturday with a few like-minded friends. Getting very excited!